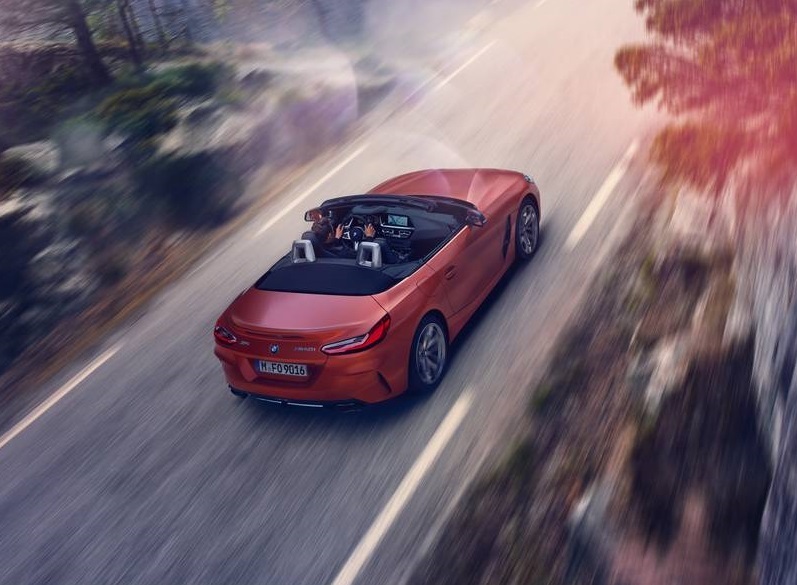 Another big release to come from Monterey Car Week 2018 was the BMW Z4. 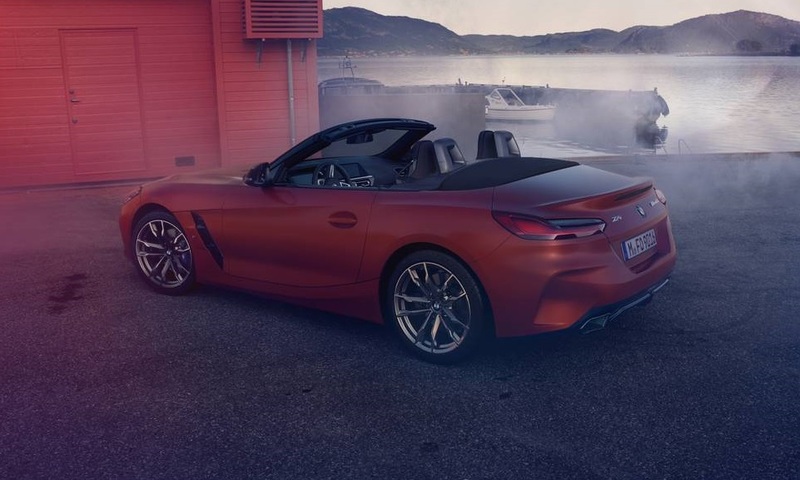 The BMW Z4 M40i First Edition was revealed on the anniversary of BMW’s Concept Z4 which was revealed at 2017’s event. It is part of a joint project with Toyota which will see the Japanese company revive the legendary Supra badge for its offering. 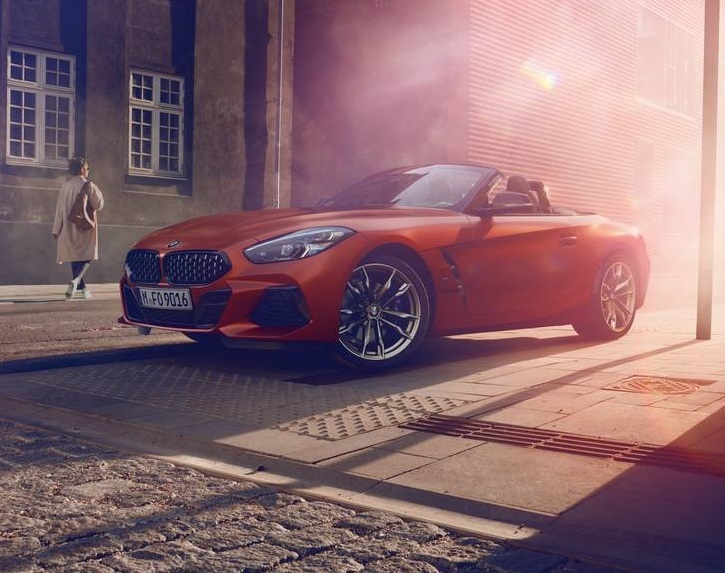 Under the bonnet, the BMW Z4 M40i First Edition comes with a powerful 340hp, straight six-cylinder engine. 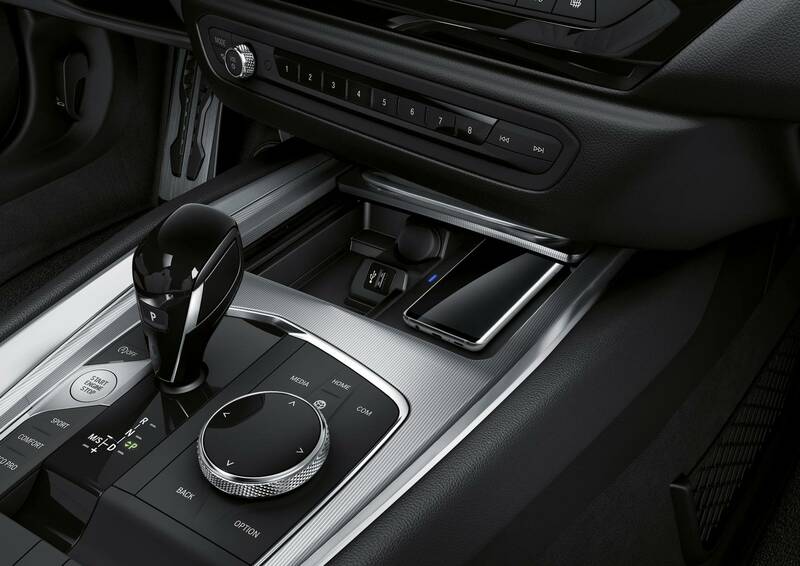 BMW also offer a sports suspension setup with electronically controlled dampers, M Sport braking and an electronically controlled M Sport differential. 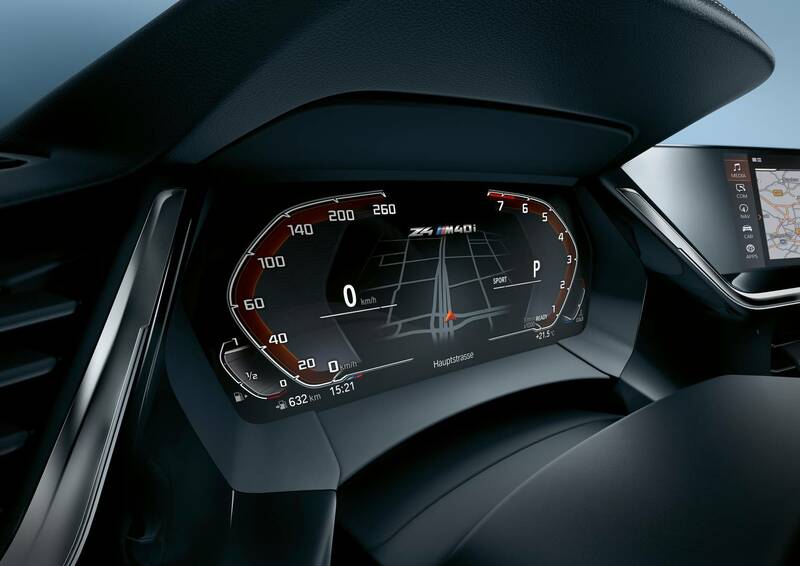 The Z4 should be capable of a 100 km/h sprint in just 4.6 seconds. The driver sits centrally in the car, combined with a low centre of gravity, this should give a perfectly balanced 50:50 axle load distribution. 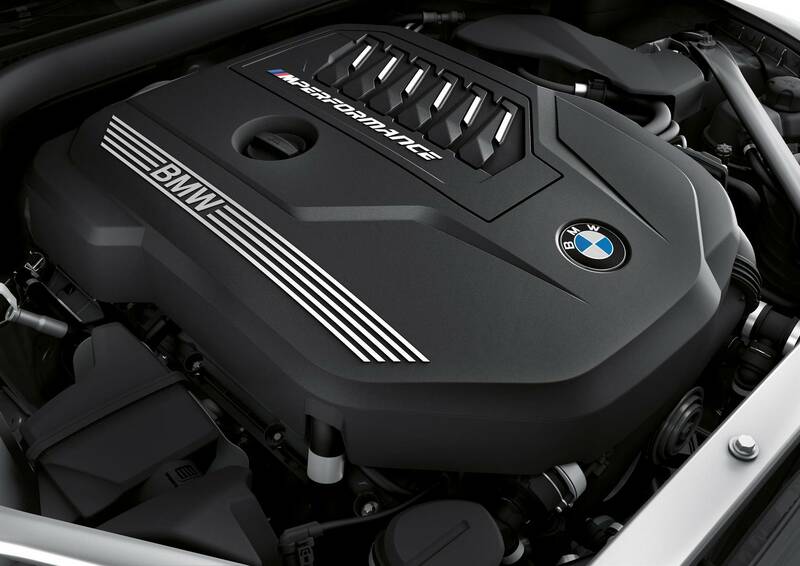 The front gets the BMW kidney grille with a mesh design. 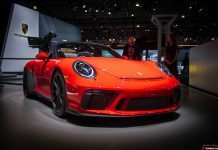 The bonnet stretches over the wheels, with large air breathers on the front wheel arches and a distinctive spoiler integrated into the rear lid. The rood is a soft top finished in anthracite. 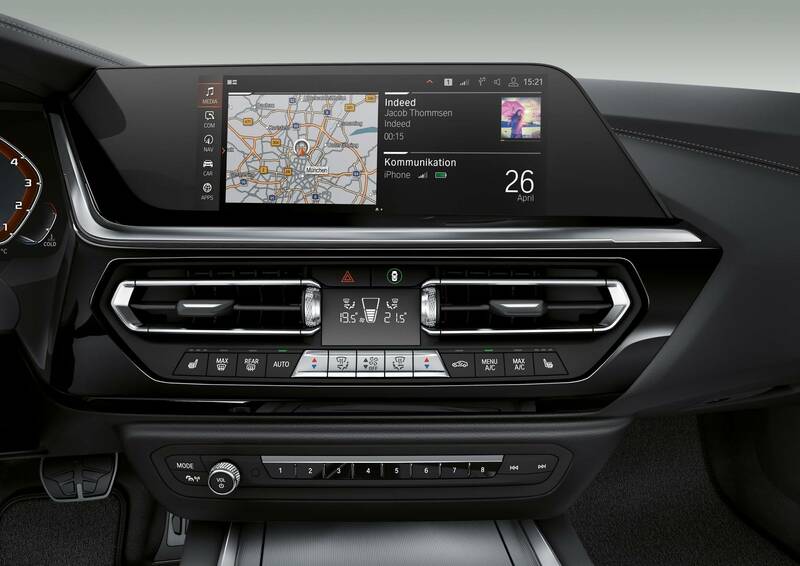 The exterior look is finished by BMW’s Individual High Gloss Shadow Line package which blacks out the chrome trim pieces. 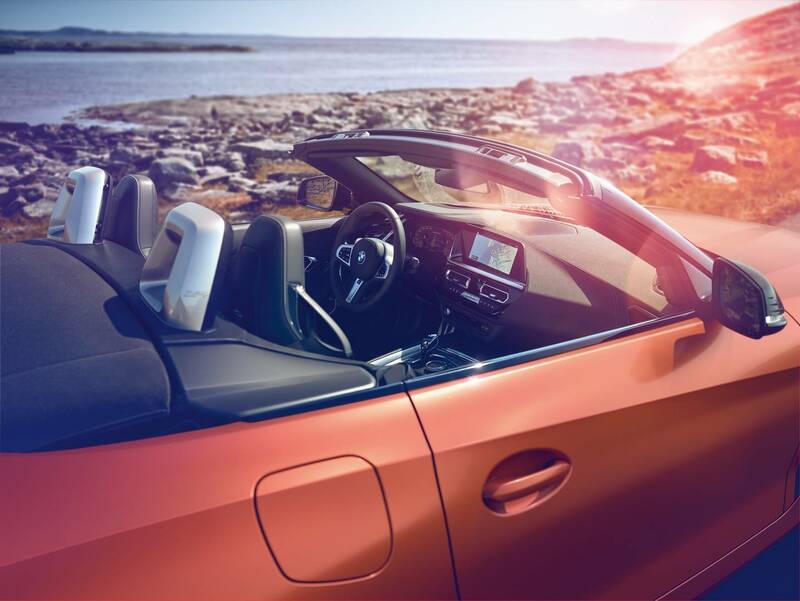 The BMW Z4 M40i First Edition gets paintwork in Frozen Orange metallic. 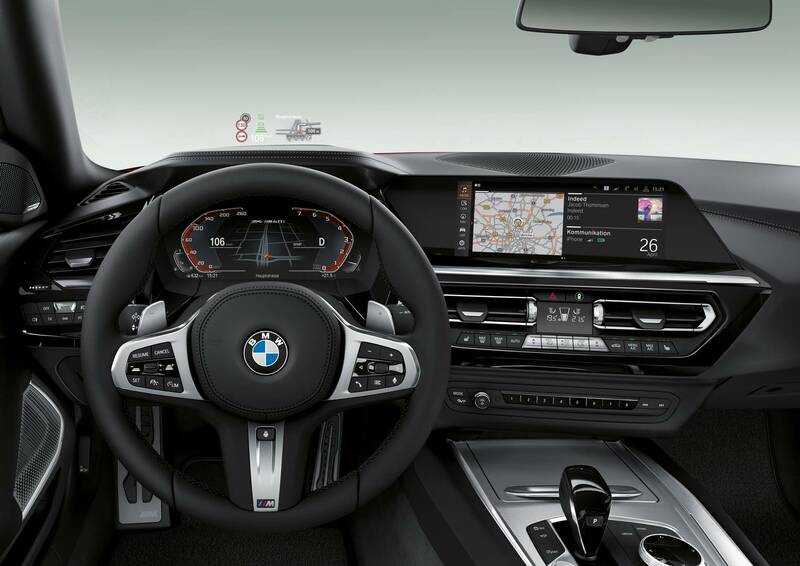 The interior of the BMW Z4 M40i First Edition includes Vernasca black leather trim with decorative stitching, electrically adjustable seats with memory function, the option of ambient light and a Harman Kardon Surround Sound System. 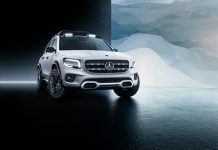 Adaptive LED headlights with matrix function are available too with BMW Head-Up Display and BMW Live Cockpit Professional also on offer. 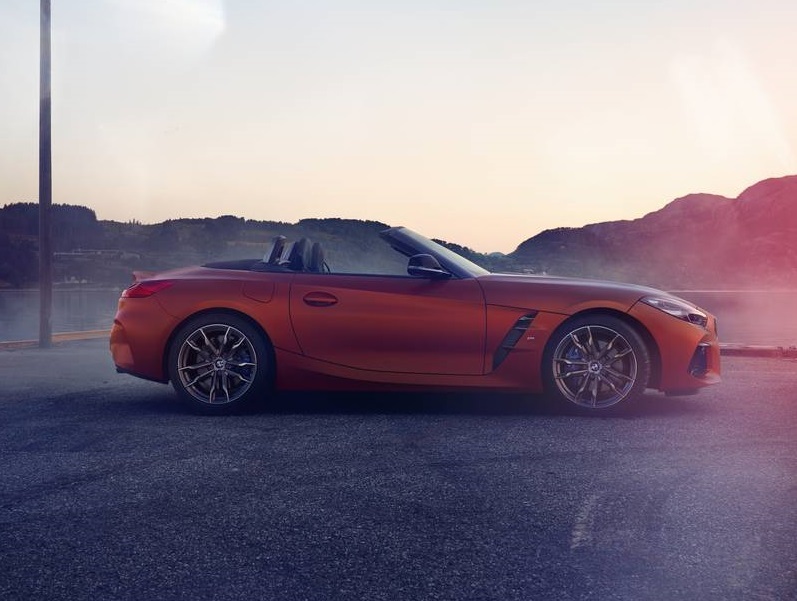 The world premiere of the BMW Z4 M40i First Edition takes place in Pebble Beach, however, full details of the Z4 range will wait until the Paris Motor Show 2018 which takes place next month. 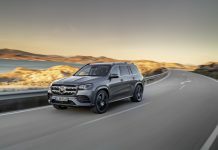 Customers will have to wait until the spring of 2019 to take delivery.